NOT the same as Micro 4/3 lens mount! The Pentax Screw Mount M42 to 4/3 Four Thirds adapter works with virtually all M42 mount lenses, except lenses requiring mirror lock up. 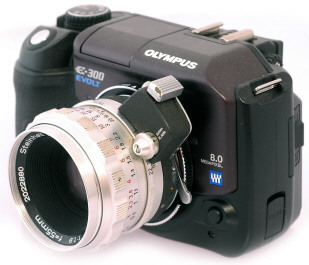 The vast majority of all M42 lenses will work properly with this adapter. 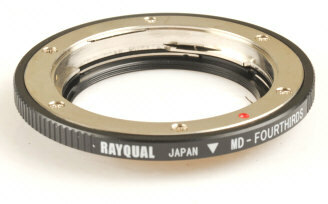 The photographer controls lens aperture by manually opening or closing the lens using the lens aperture ring. Mounted here is the rare Soft Focus 85/4 Fujinon made for the Fujica 801. 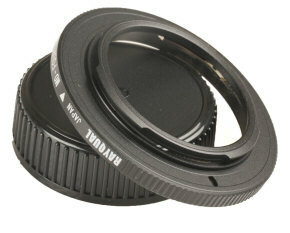 Like the other 4/3 adapters, you can leave the adapter on the camera and change lenses. NOT PICTURED FOR THE TIME BEING: The Pentax K Mount to 4/3 Four Thirds adapter works with virtually all K / KA mount lenses, except lenses requiring mirror lock up. 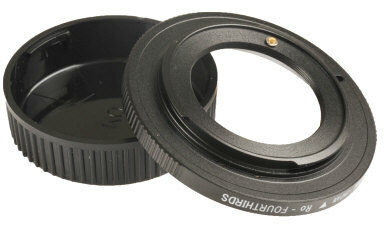 The vast majority of all the various K mount lenses will work properly with this adapter. 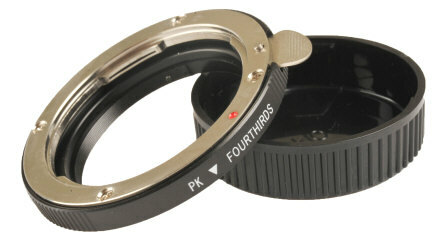 The photographer controls lens aperture by manually opening or closing the lens using the lens aperture ring. 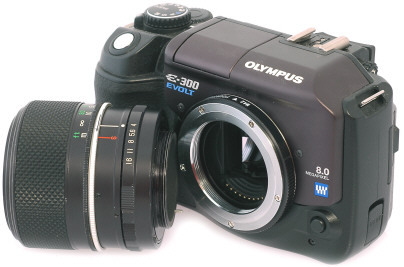 Like the other 4/3 adapters, you can leave the adapter on the camera and change lenses. The Topcon Super D mount is based on the earlier Exakta mount, though not quite the same in all respects. 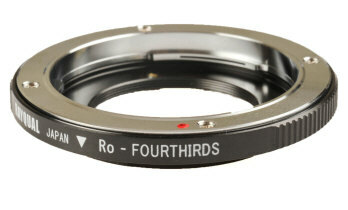 However, as far as the 4/3 Four Thirds adapter is concerned, they are alike and work the same. 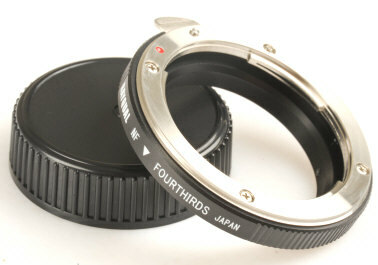 The photographer controls lens aperture by manually opening or closing the lens using the lens aperture ring. Mounted is the rare US Navy 50/1.8 Topcor with infinity lock. Just like Exakta, the 4/3 adapter is so far the Topcon lens fan's only route to the digital world. 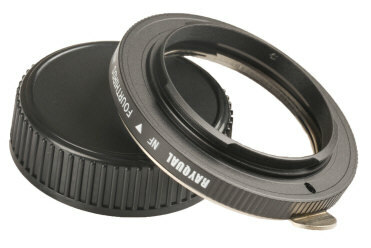 Like the other 4/3 adapters, you can leave the adapter on the camera and change lenses. The Minolta MC / MD to 4/3 Four Thirds adapter works with virtually all manual focus Minolta SLR mount lenses, except lenses requiring mirror lock up. 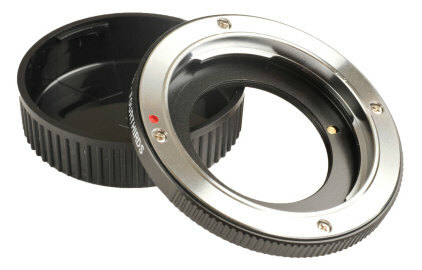 The photographer controls lens aperture by manually opening or closing the lens using the lens aperture ring. 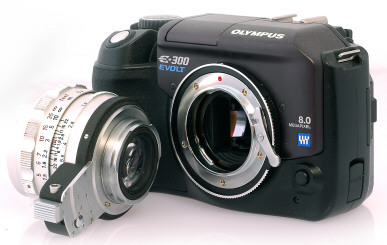 Like the other 4/3 adapters, you can leave the adapter on the camera and change lenses. IMPORTANT: As time goes on, more and more 4/3 cameras are introduced by different manufacturers, so far by Olympus, Panasonic, and Leica. Take note the interior light chambers of 4/3 cameras do vary, even though all are 4/3 mount. 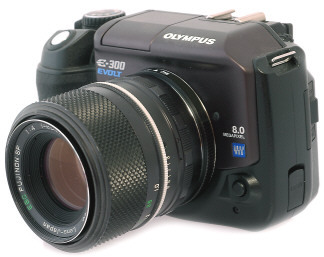 On top of that, Minolta SLR lenses vary with design how much much they project into the cameras. 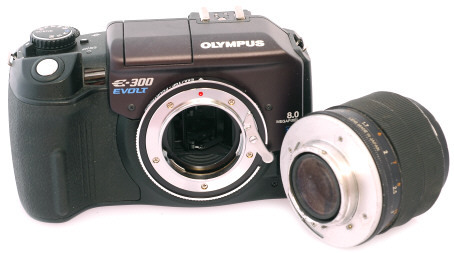 The length and size of the aperture levers can also vary a bit. As a result, to mount your Minolta lenses on SOME 4/3 cameras, you will have to grind off about .3mm from the tip of the aperture lever. Other 4/3 owners take a different route and remove a bit of the light chamber to mount their favorite Minolta lenses. Obviously this is not an ideal solution, but remember your Minolta lenses were not designed to work with any digital camera, nor were the 4/3 cameras designed to work with Minolta lenses. Real world, this is what you may have to do to enter your Rokkor optics into the brave new digital world. 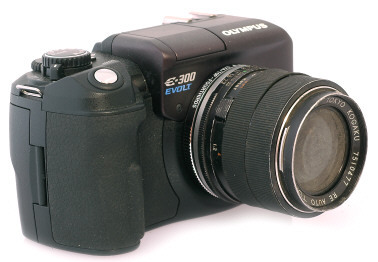 For instance the adapter and lenses work without modification on the early E-1 camera, but require modification on the E-300. Due to the ever increasing number of 4/3 cameras and the variety of the Minolta lenses themselves, there is no comprehensive list of Minolta lens and 4/3 cameras. More info at https://www.rokkorfiles.com/olympus.htm . 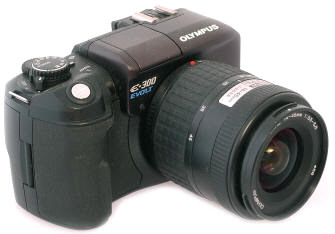 I recently purchased your Minolta MC/MD to 4/3 adapter and am using it with an Olympus E-500. In case you have any inquiries and fyi I did need to modify the aperture pin on the two lenses I'll be using with it - Minolta MC 100mm macro and Minolta MC 400mm telephoto. On a 50mm lens I was willing to sacrifice I used a Dremel tool to grind down the pin bit by bit until the lens would work with the E-500. I then used a vernier caliper to measure the length of the pin from the tip to the lens mounting surface and applied that measurement to the remaining lenses I wished to use with the adapter. The amount of material I had to remove from the aperture pin varied somewhat with each lens but in every case it was pretty minimal. All the lenses are still fully functional with my Minolta bodies. Interestingly, at least one of my Minolta lenses, a MD 24mm, is useable without modification - the pin is short enough to clear the obstruction in the E-500 light box. I'm very pleased with your adapter and grateful for your development work. Revised: September 09, 2017 . Copyright ©2005-2013 Stephen Gandy. All rights reserved. This means you may NOT copy and re-use the text or the pictures in ANY other internet or printed publication of ANY kind. Information in this document is subject to change without notice. Other products and companies referred to herein are trademarks or registered trademarks of their respective companies or mark holders.